• Garland is 48” overall length. 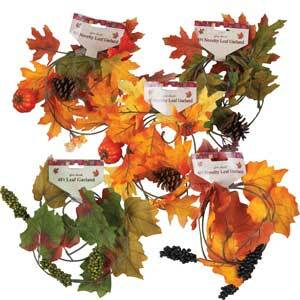 • 6 assorted styles; Grape Clusters, Pinecones, and Pump­­­­­­­­­­kins. • 48 per case, $1.10 each.